LAKE YOJOA, lies between two National Parks, Santa Barbara National Park and Cerro Azul Meambar National Park and is home to more than 400 species of birds, and more than 800 species of plants. Some of the best coffee in the world is grown in this region. Recognition for its great cacao isn’t far behind. Our farmers are paid £23.61* for fresh wet babba (cacao seeds/beans) vs £12.00 (Lempira) in the local market for unfermented dry beans. MERENDON. 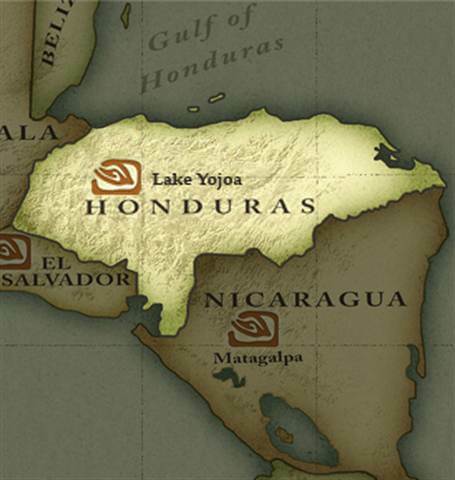 Our first Honduran chocolate was from the Merendón Mountains. We still have a limited availability.